Oh the beach, how I love you! I love listening to the waves, I love swimming in the ocean, and I also love seafood. 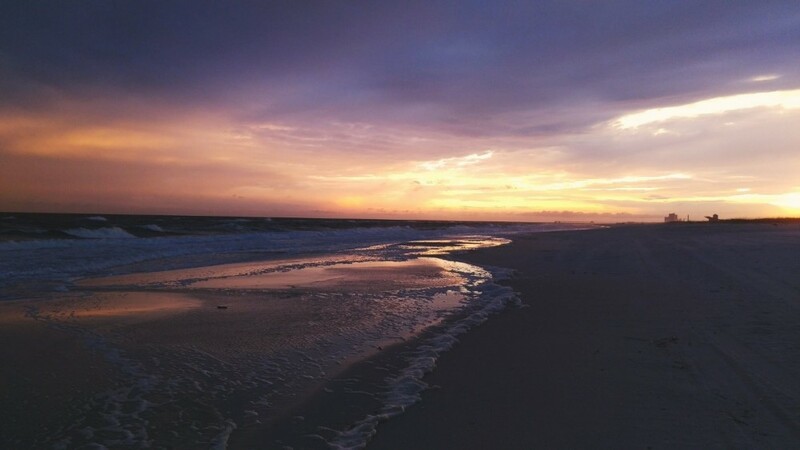 Therefore the perfect place for me is Gulf Shores, Alabama. Luckily for me every year for the last 15 years my family has taken a trip down to Gulf Shores/Orange Beach, Alabama (the two towns are right by each other). Over that time we have eaten at A LOT of restaurants so we have found our favorites. This place is so good! Start with the World Famous Fried Mozzarella Cheese (that’s what the menu calls them and I believe them!). The Original Oyster House also has a huge salad bar with the best rolls. Any type of shrimp here is great but my personal favorite is the stuffed shrimp. I am also a big fan of the cheese grits and the hushpuppies. 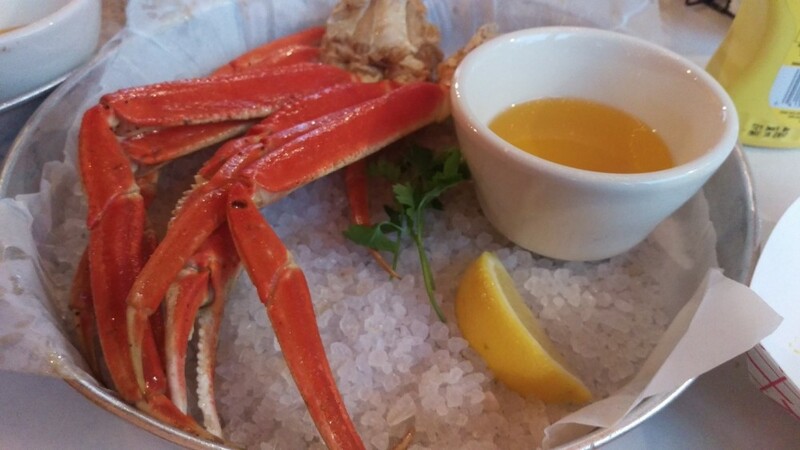 You have to save room for dessert at The Original Oyster House. They are amazing!!! There are two locations of Doc’s. 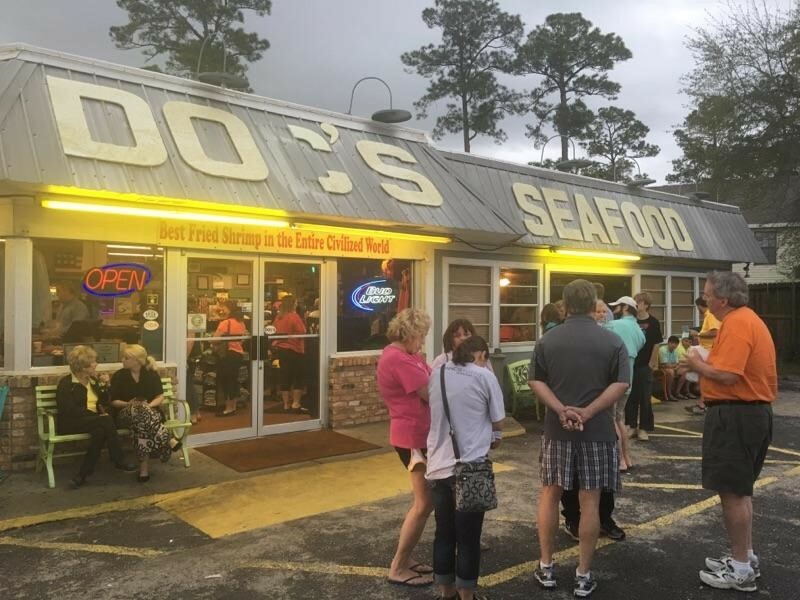 The original one is in Orange Beach (this is our favorite because of the atmosphere) and a newer Doc’s is in Gulf Shores. Both are great and you get amazing food at both locations. 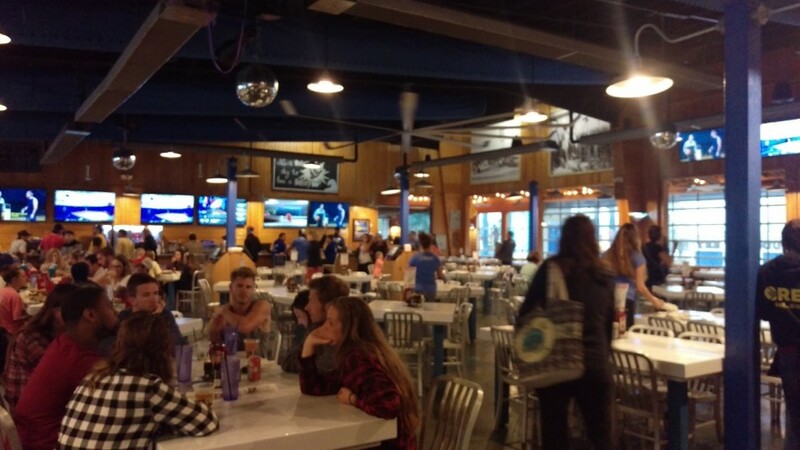 Doc’s is probably our favorite restaurant, and that is saying a lot! 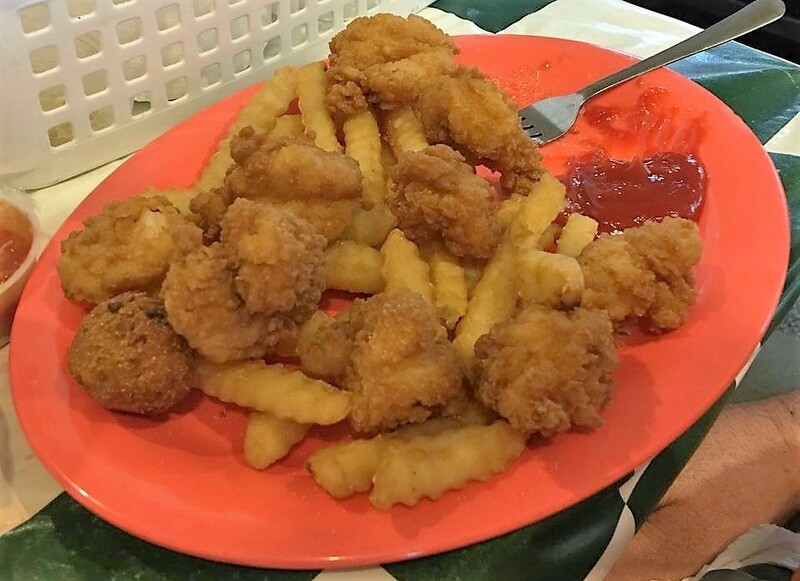 The “best fried shrimp in the civilized world” is what Doc’s is known for, and it’s incredibly true! 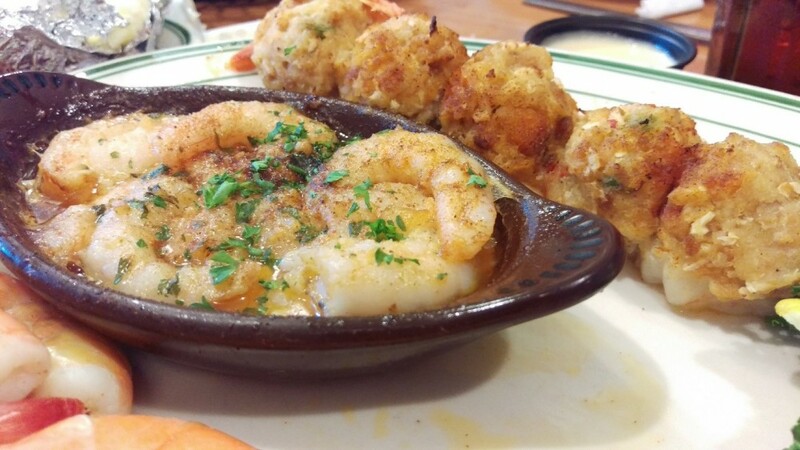 Please excuse the fact that some of the fried shrimp are already missing…. Doc’s normally has some type of white fish, either grouper or swai, and I always recommend those. My brother absolutely loves their seafood gumbo. 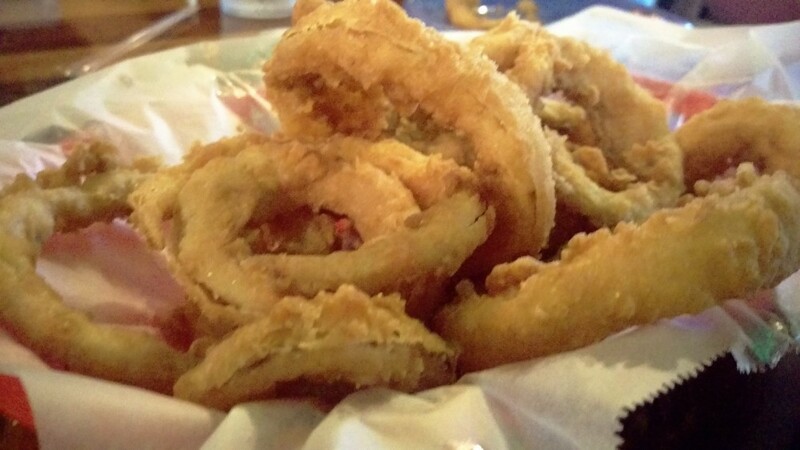 They also have great onion rings and I would suggest starting your meal with those as an appetizer. They are yummy, and I would eat the entire basket if I could! This is not your typical fish and fries joint. This food is craftily prepared, and they throw something in that you weren’t expecting. For example they have gouda mashed potatoes (which are phenomenal!). We got the Grouper Ponchatrain which is fresh grouper, breaded in panko bread crumbs and topped with shrimp mushrooms and lemon butter. So good!!!! 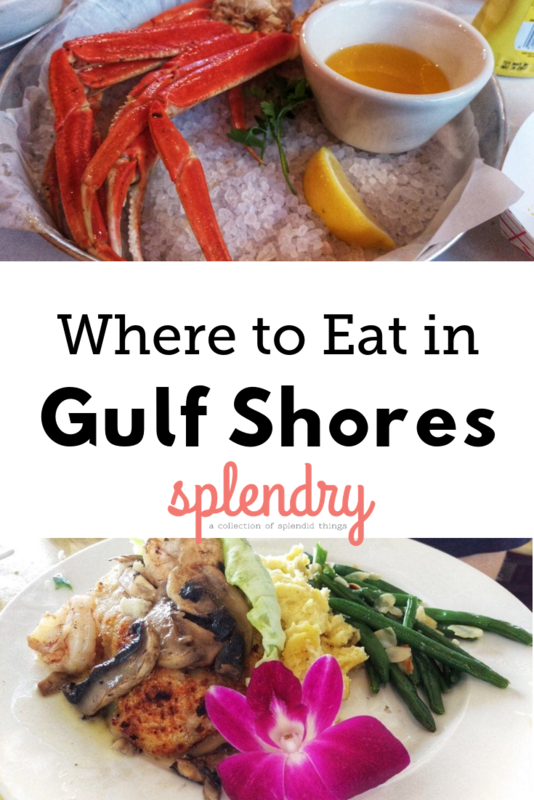 Shipp’s is one of the few places that has sushi at Gulf Shores, and I loved it! My recommendation is the Island Roll that has tempura shrimp, cream cheese, avocado and pineapple salsa. Yum!!!! In my opinion, it’s a little more on the pricy side so if you are taking the family I would go for lunch. If you are getting tired of seafood but want some home cooking then had to Lambert’s Café and come hungry!!! You get a ton of food!!! Lambert’s does things a little differently. If you want a roll, raise your hand and catch! Yes, that’s right; they throw the rolls! 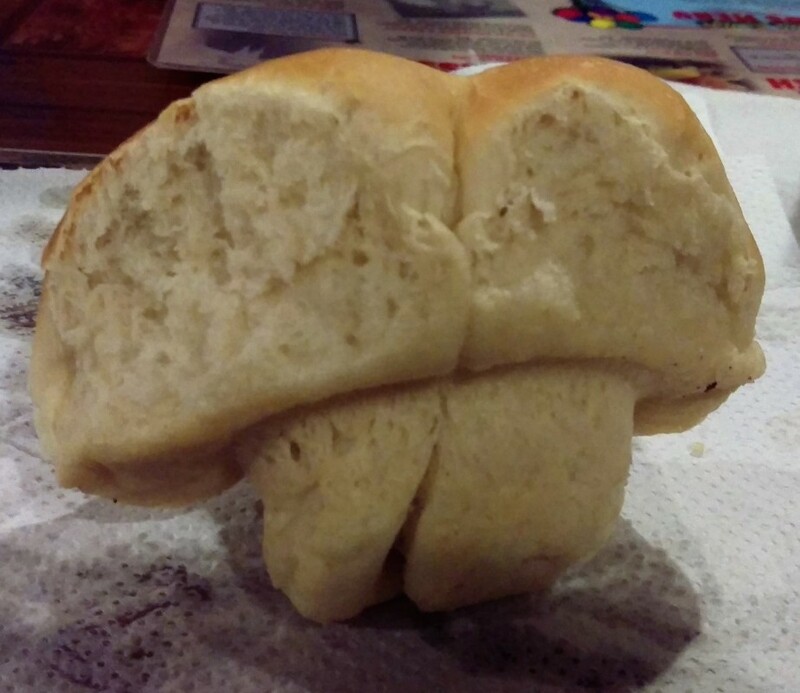 These rolls are HUGE! Don’t worry if you don’t catch one, they will throw you another! They also have seven different sides they will bring to your table as part of your meal (you don’t pay extra for these) called pass-arounds. 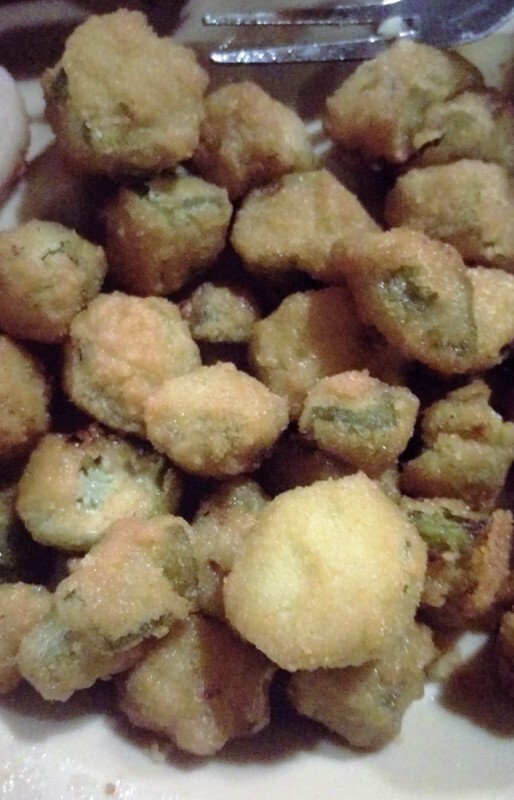 I recommend the fried okra and fried potatoes & onions! 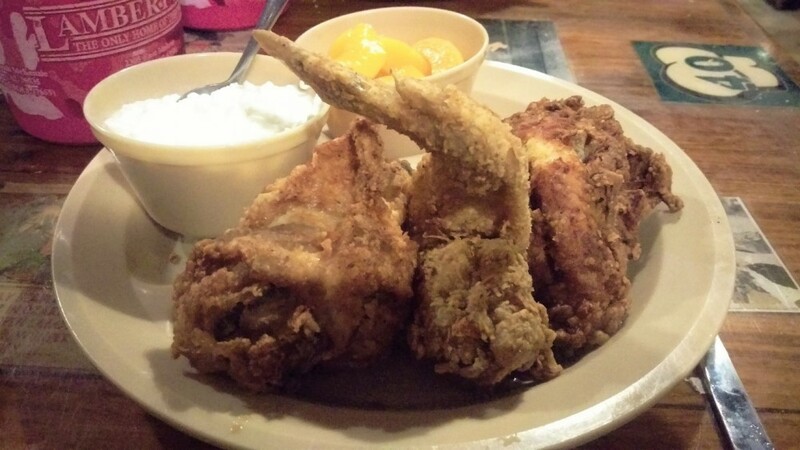 Lambert’s is known for their fine home cooking. Think catfish, fried chicken, meatloaf, etc. You will leave stuffed and have leftovers to spare! That fried chicken makes my mouth water just from the picture! LuLu is Jimmy Buffet’s sister, and she is the owner and creator of this gem. 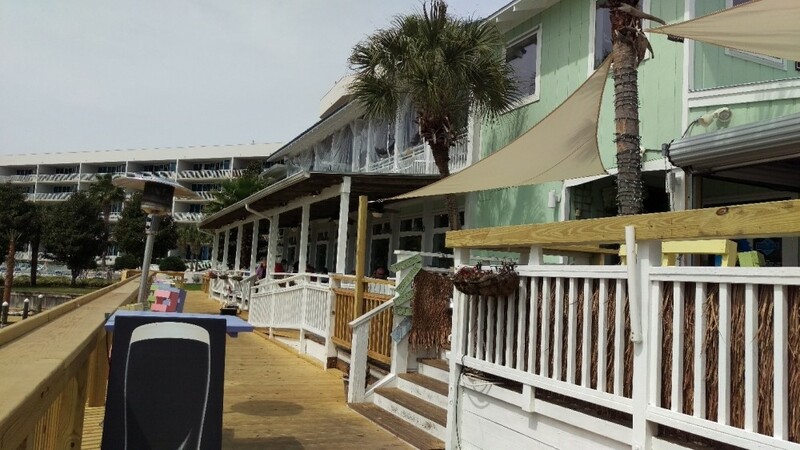 After growing up in lower Alabama but living in Los Angeles for a while, LuLu moved back to Gulf Shores and opened up LuLu’s Sunset Grill which then moved to its current location on the Intracoastal Waterway. LuLu’s is a really fun place especially if you have kids. Since LuLu’s is on the waterway you can watch boats go by while you eat. 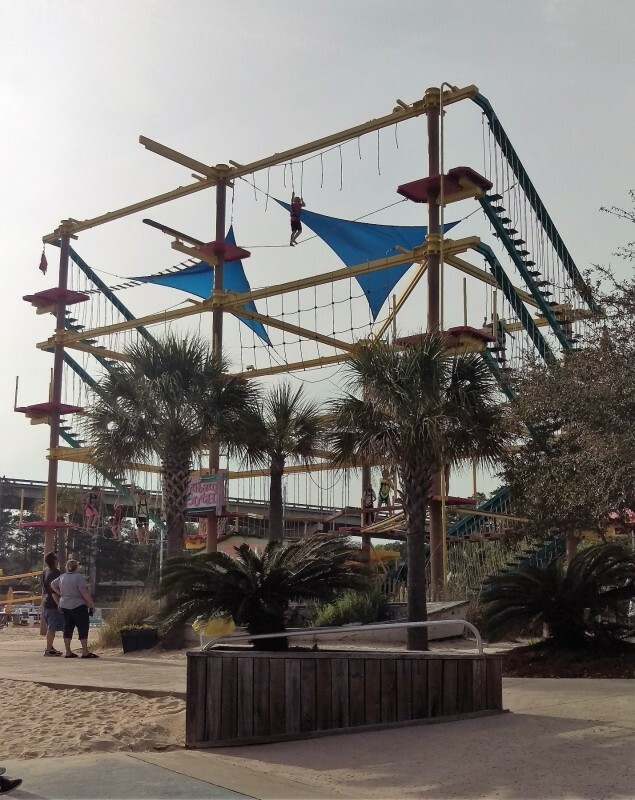 Plus they have the Mountain of Youth which is a three story climbing ropes course. 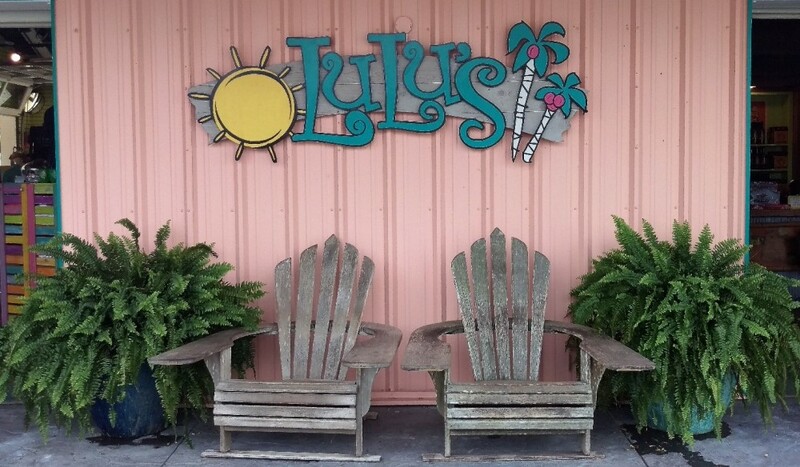 LuLu’s also has The Fountain of Youth, a beach with volleyball, and live music. Did I mention this place was fun?! Plus it doesn’t hurt that the food is pretty good too!!! The Hangout is where the action is. 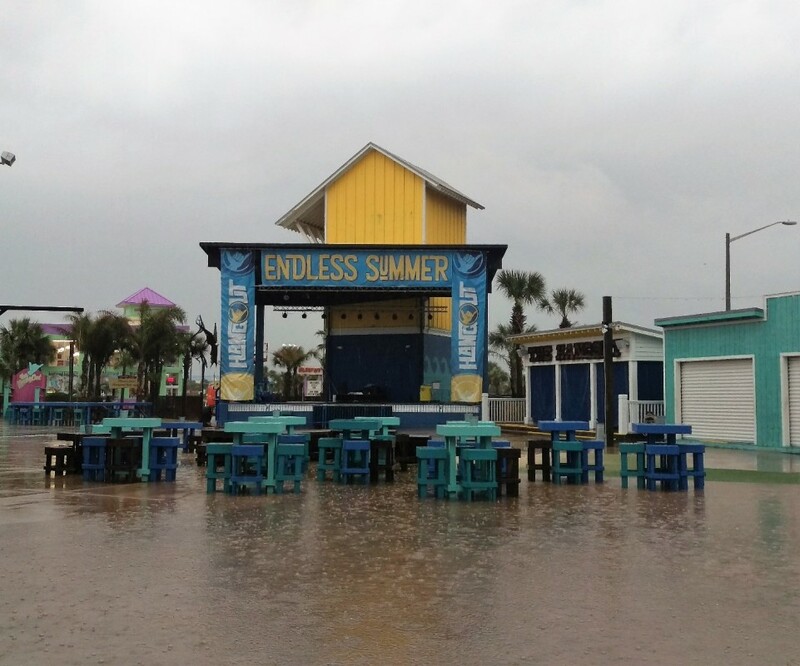 Seriously, this place is right on the beach and is known for their concerts and activities. They even have the Hangout MusicFest which has acts like The Weekend, Calvin Harris, Lenny Kravitz, Panic! At the Disco, etc., the big names go on and on. The point is, if you’re looking for a good time, the Hangout is where it’s at. 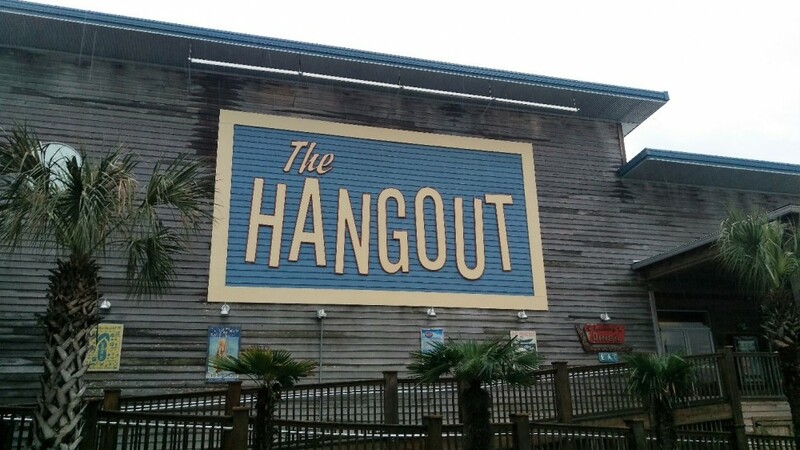 The Hangout has fun things to do like the wish wall, beach access, a fire pit, Ping-Pong and a sand pit! Plus it’s huge so they are used to getting a lot of people in at one time. And while you are having fun, you can also eat some really great food! The seafood is great! My aunt highly recommended the crab legs! This is also where you can get the best burger at the beach. I recommend the Big Beach Burger which has onion rings, applewood smoked bacon, sautéed mushrooms and caramelized onions! YUM!!!! The fries are amazing too. I was going to show you a picture of this amazing burger but I was hungry and was half way done when I remembered to take a picture, so just trust me you want to eat this! 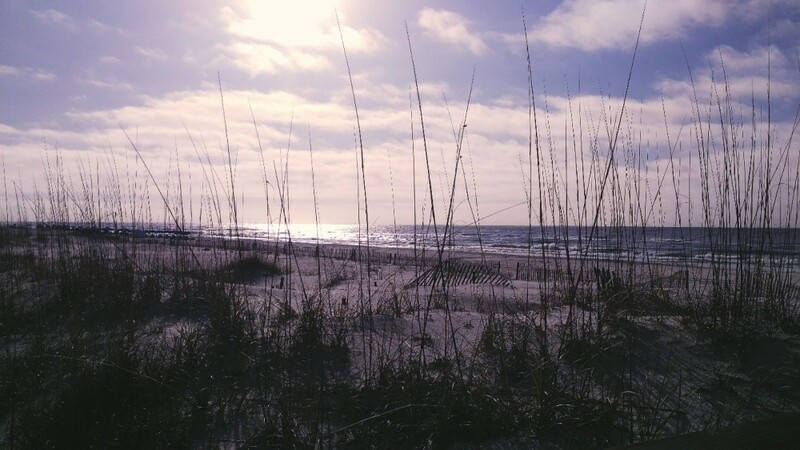 Gulf Shores and Orange Beach is a great destination for all ages and especially for families. 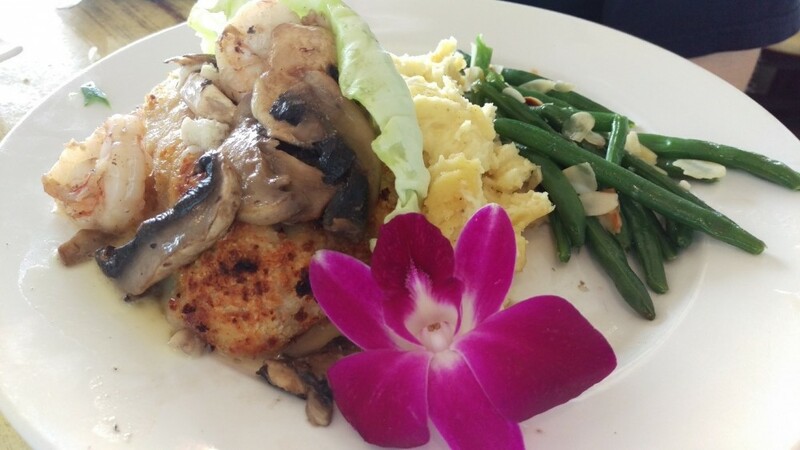 The food is second to none and you and your stomach won’t leave disappointed!